There is something special about gazing upon the beauty of the sun as it rises over Lake Michigan on a bright winter day. Sometimes, the morning is clear and the lake glows with the reflection of the sun. Other times, the sun burns the mist over the lake, highlighting vaporous wisps at its surface. Last winter, it just highlighted the icebergs that covered over 90% of the great lake’s surface and brought out steam devils. It’s hard NOT to find beauty in the lakefront sunrise, but it is no mean feat to capture a few 5* images. Sunrise #1 – In this image, don’t know what I like most – is it the clouds garnishing the sky, with a clear glimpse of the emerging blue sky? Or maybe it is the orange glow along the horizon? Could it be the orange beam traversing the expanse of the lake to the bare trees in the foreground? Of course, I can’t just pick one element – it is the presence of all three that makes this image so special. 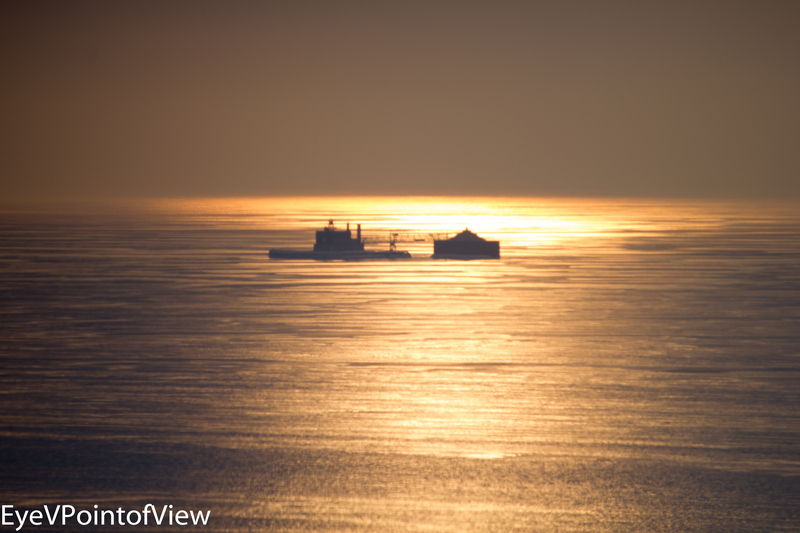 Sunrise #2 – Lake Michigan, which provides drinking water for over 10 million people, is dotted with water pumping station like the one that is shown in the midst of this morning glow. Here I love the detail that looks like brush strokes over the lake. 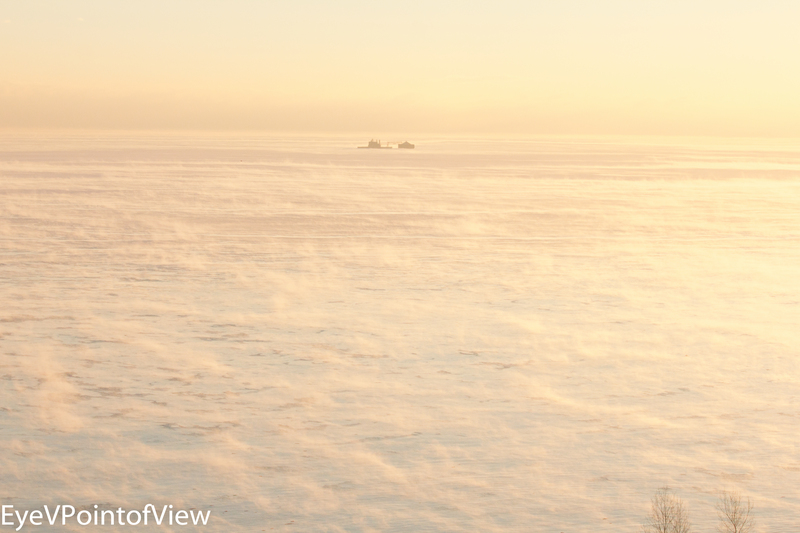 Sunrise #3 – It is just not that often, when as far as the eye can see, you see steamy wisps rising from Lake Michigan’s surface. This “steam devil” (yes, that IS what it is called) is a side effect of the polar vortex, when the frigid (below zero) air meets the much warmer lake to create steam. In the background, you can see the same water pumping station, only this time it is shrouded in steam, and not sitting in the glow of the morning sun. 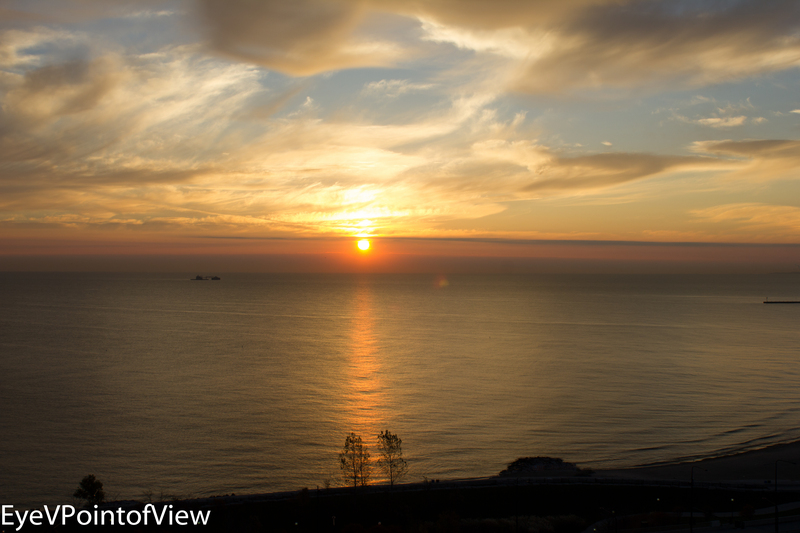 I hope you enjoyed 5* images of the sun rising over Lake Michigan – south side view. LOVE the first pic! Great mood. Hi KD, thanx for the feedback on the pix. i t was certainly a beautiful morning! Hi JRJ would love to! Thanx again for stopping by and giving me feedback.